A while ago I told you how you could use baby powder for your Summer problems. 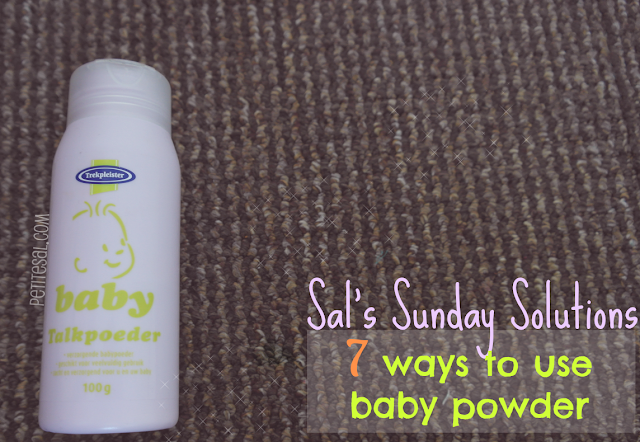 Today I'm writing about how you can use baby powder in other ways too! I bet that you haven't heard of some of them before. That's okay, I love to educate you on how I use baby powder and share them secrets with you! It's not easy being a woman and I think we can all confirm this. For example: waxing. No explanation needed. But I can make it a little easier for you. 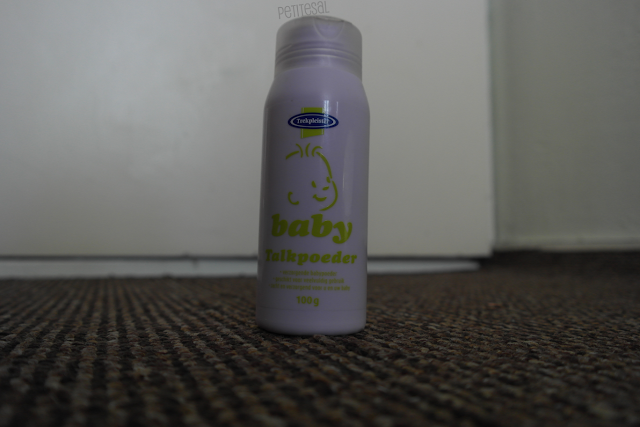 Use baby powder on the body parts that you're about to wax. The wax will grab the hairs easier. Number three is similar to number two, but that's okay. Use baby powder as a body powder to smell fresh and to feel fresh! It's not just for babies, you know. Benefit from the fact that we adults can use baby products too. This is an emergency tip. Let's say one day you discover that you ran out of make-up powder (all of a sudden) and you need to set your make-up. Carefully get some of the baby powder on your brush and set your make-up! Make sure you blend it in well, because you don't want to end up looking like Casper the Friendly Ghost. He might look friendly, but your make-up won't look that friendly on you. Trust me on that one. 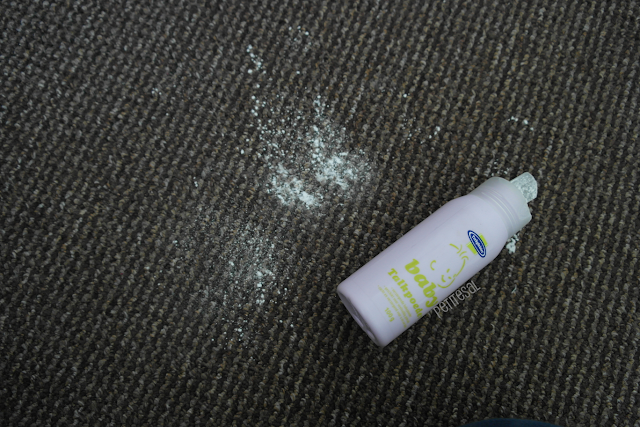 Put some baby powder in your shoes (or on your feet) and you changed it from baby powder to foot powder! Put some extra between your toes, as it tends to get a bit warmer (and sweatier, again: sorry for the details) there. Big plus for your baby smelling feet now. Cover your bed with white sheets, sprinkle some baby powder on it and enjoy the soft and fresh feel! This is also perfect when you want to freshen up your sheets in between nights. Sometimes we cope with irritated skin. Put some baby powder on the irritated places on your skin. Also on itchy skin. Always a pleasure to have multifunctional products. One product and so many ways to use it. 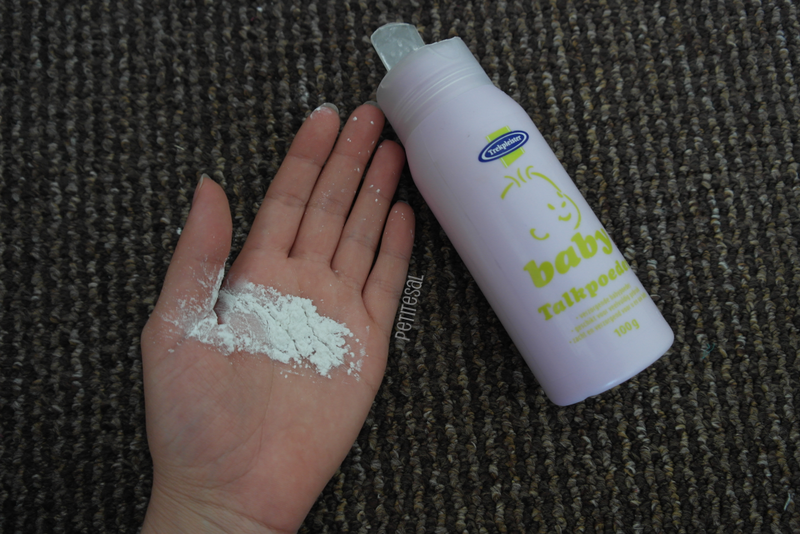 And I'm sure that I forgot other uses of baby powder too, so if you can name more, drop them in a comment below! Oh a little warning: if you're allergic to perfume, please check the ingredients of the baby powder. Even though it's a product for babies, there's a chance you might react to it. In that case: there are plenty of (baby) powders without perfume! What is your go-to multifunctional (beauy) product? great tips, sal! especially the waxing one, didnt know about that one. my biggest use of baby powder is as a dry shampoo. use it in your hair at night, and your hair will feel much fresher the next day. and doesnt leave a dirty residue like dry shampoo does. Great tips! I have definitely used baby powder for my feet and as a sheet freshener as well. Never heard of using it for waxing simply because I don't like waxing, but I have heard of it for setting makeup. Should I really say welcome? Because I'm pretty sure you already feel welcome here on PetiteSal. Anyway, enjoy my witty posts about beauty, fashion and lifestyle! Copyright © 2013 PetiteSal. All rights reserved.